You'd be surprised at all of the aspects of your day to day life that are impacted by our ability to create ultra-clean processing environments, aka Clean Rooms. 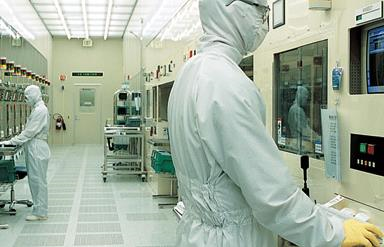 Most people are familiar with the concept of clean rooms from seeing pictures or video of people in 'bunny suits' manufacturing semiconductors. But clean room practices go well beyond microchips to impact our lives in so many unrecognized ways. As clean rooms have become standard practice in the 21st century, we as a society have grown to take these services for granted. Most people no longer think twice about how sterile the needle is as they get vaccinated, or if the medical instruments used in an emergency room were made in a clean room environment. Most of us do not fully realize the effort it takes to manufacture a dozen identical flu shots, or understand the impacts if these become contaminated during development. For engineers in research laboratories, food processing, life sciences, biotechnology or medical device manufacturing, knowledge and application of the right clean room standards can make all the difference in getting to the right solution for product quality, production efficiency, and life cycle costs. 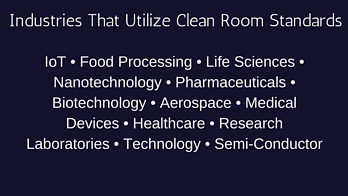 By definition, a clean room is a controlled environment where contamination-sensitive activities are performed. Different industries can be driven by different reliability standards, meaning a nanotech manufacturing space may be optimized for different regulatory aspects than say food or life sciences. So what are the common factors that define the cleanliness of your space? The environment inside a clean room is measured and classified by the size and number of particles per metric volume of space. This measure is standardized through the International Standards Organization (ISO) and the U.S. Federal Standards FS209E. For reference, ISO classifications range from ISO 1, which is the cleanest, to ISO 9 which is approximately the air you're breathing now. An ISO 1 rating represents no more than 10 particles per 0.1 micrometer3 (μm3). Each respective "downgrade" from there represents a 10x multiplication of particles per μm3. The U.S. Federal Standards are graded on a similar magnitude-scale from Class 1 (ISO 3) to Class 100,000 (ISO 8). A useful ISO and Federal clean room standards comparison chart can be found here. Micro-particle control is crucial to maintaining the integrity of any clean room product in its application. Effectively controlled airflow allows industries to reduce error-rates within their production and thus deliver consistency to their customers. Microscopic contamination and the introduction of unwanted particulates can not only damage, but render completely useless, such products as microprocessor chips, medical devices, specialized drugs, and even widely-consumed food products. When developing a regulatory or high-purity manufacturing space, spec'ing the right system is critical to operational success and product quality. 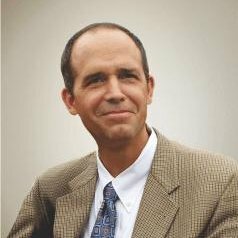 Among the most important elements to consider when designing a “clean air” manufacturing space is picking the right air handling system. At the same time, the integration of a raised-access-floor system should not be overlooked in your clean room design either. For example, a properly designed ISO 5, or Class 100 clean room will include an airflow control unit which maintains laminar (unidirectional) airflow and a minimum air-change rate (ACR) per hour of 240. Such a system might demand upwards of 80% of available ceiling space, so a perforated raised-access-floor installation would be a wise addition to minimize disruption to laminar airflow and maximize space for all related utilities, wiring and infrastructure.